WASHINGTON, Two Indian Americans are among 20 healthcare leaders named for participation in the inaugural class of a US fellowship programme aimed at transforming the healthcare system.Rishi Manchanda, chief medical officer, The Wonderful Company, Los Angeles, and Nisha Money, senior medical advisor at US Department of Homeland Security were selected for the Aspen Institute Health Innovators Fellowship. This new two-year fellowship will strengthen the leadership of innovators across the US health care ecosystem and challenge them to create new approaches that will improve the health and well-being of all Americans, The Aspen Institute, an educational and policy studies organisation based in Washington, DC, said in a statement. “We are thrilled to recognise an extraordinary group of individuals — 10 men and 10 women — who reflect the best of passion and commitment in the US health care system,” said Rima Cohen, managing director of the Health Innovators Fellowship. “The Fellowship will harness the creativity, deep expertise, and diverse experiences of these leaders to help solve our health system’s complex challenges,” she said. The Fellowship has been launched in partnership with the Greenville Health System, a South Carolina-based not-for-profit healthcare system. Among other efforts, Money creates and leads integrative mental fitness training programmes used in deployment, training, work, and personal site settings to address prevention, resiliency, and treatment of psycho-neurological disorders. Besides being the chief medical officer of The Wonderful Company, a privately held $4 billion company committed to offering consumers high-quality, healthy brands, Manchanda is also president of HealthBegins, an organisation that provides healthcare providers with tools to improve care and the social determinants of health. 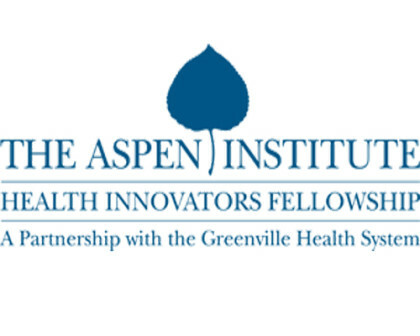 “Remarkable leadership talent from across the US is represented in this first cohort of Fellows,” said Michael Riordan, president and CEO of Greenville Health System.”As an academic health centre committed to innovative care, we are excited to partner with the Aspen Institute and witness the power of the Fellows’ collective talents in leading the charge to transform health care,” Riordan said.